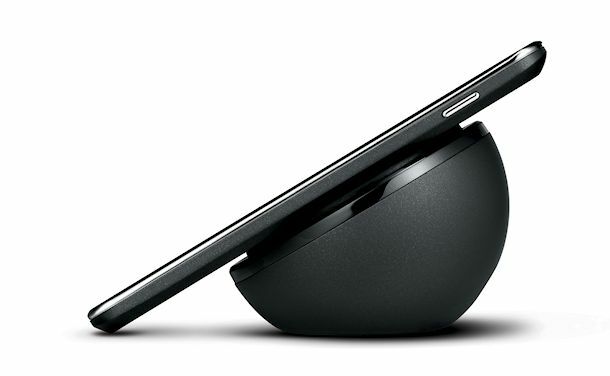 The wireless charging Orb for the Nexus 4 that was unveiled alongside the device back on launch day, has apparently never made it outside of Google’s own campus. We have yet to see one in the wild, nor have we been able to purchase one. This shouldn’t surprise anyone, as Google and its partners tend to struggle to release accessories for these devices each year. Just look at the official Nexus 7 dock situation. We have may have signs of life, though! A retailer by the name Pure Mobile has a listing for the Orb, however, it’s flagged as “out of stock,” much like the dock for the Nexus 7 was for months. We’re seeing a price of $59.99, which seems a tad high for something that only charges a phone, but it’ll likely be well built. This site doesn’t mention an “in stock” date, so we’ll have to try and remain patient. Thoughts on the price? Most wireless chargers typically run anywhere from $40-60. The Nokia Fatboy charging pillow for example, is $59.99. Update: Pure Mobile is now taking pre-orders for the Orb. They are expecting stock to arrive in 2-4 weeks. Google Now-Like Notifications Spotted in Chromium, Could Be Headed to Chrome in the Future?